A friend of mine will be selling these cute little toddler aprons at Montessori's Craft Show this Saturday from 9am - 2pm. 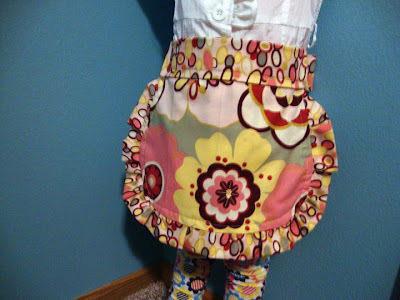 She will have full aprons as well. :) The craft show is located at the Montessori School's gym, just north of the Minot Air Force Base. The small ones are only $15 and the full sized are only $20. Go check it out! I didn't know NC was that crafty!?!! !